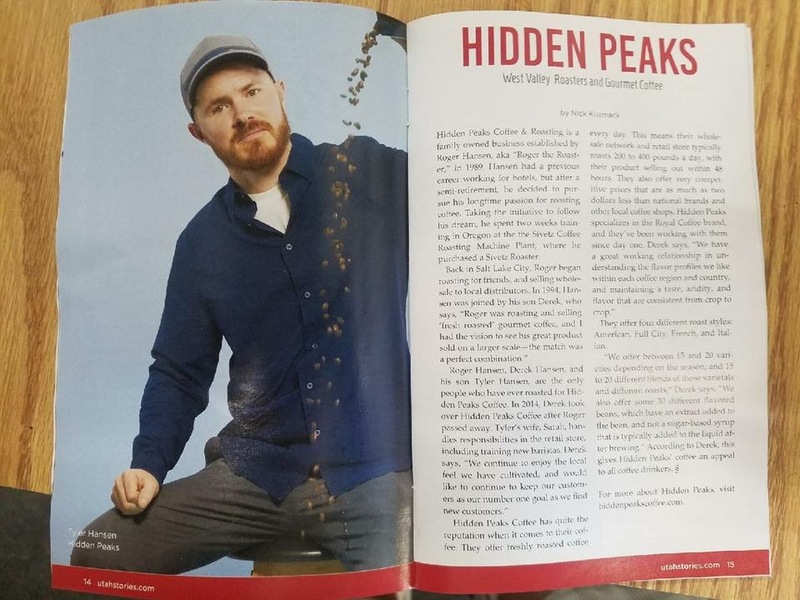 Hidden Peaks Featured in Utah Stories – HIDDEN PEAKS COFFEE & ROASTING CO.
Hidden Peaks Coffee & Roasting is a family owned business established by Roger Hansen, aka “Roger the Roaster,” in 1989. Hansen had a previous career working for hotels, but after a semi-retirement, he decided to pursue his longtime passion for roasting coffee. Taking the initiative to follow his dream, he spent two weeks training in Oregon at the the Sivetz Coffee Roasting Machine Plant, where he purchased a Sivetz Roaster. They offer four different roast styles: American, Full City, French, and Italian. “We offer between 15 and 20 varieties depending on the season; and 15 to 20 different blends of those varietals and different roasts,” Derek says. 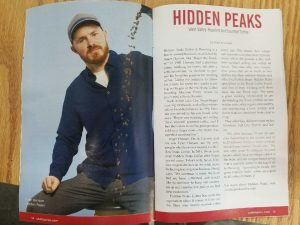 “We also offer some 30 different flavored beans, which have an extract added to the bean, and not a sugar-based syrup that is typically added to the liquid after brewing.” According to Derek, this gives Hidden Peaks’ coffee an appeal to all coffee drinkers.